Lastnight I was at Barnes and Noble out on Transit, signing copies of my dad's book. 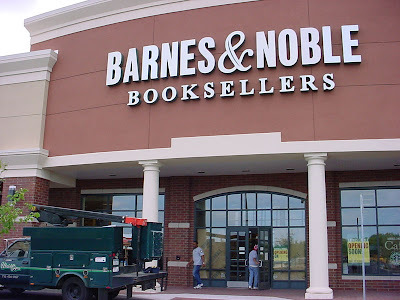 Barnes and Noble is not to be confused with Cellino and Barnes, Buffalo's most prominent personal injury attorneys. That is a whole different partnership. 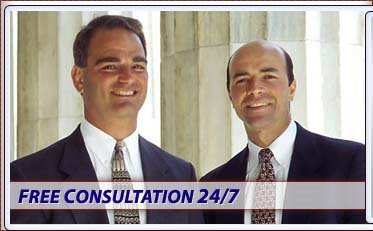 For the benefit of out-of-town Leonard Pennario fans, here is a picture of Cellino and Barnes. At Barnes and Noble I got to sit with a host of distinguished Buffalo authors and photographers, including Don Zinteck, who took the pictures for that beautiful book "Garden Walk," which is kicking around my bedroom even as I write this. And Joe Bieron, who has a nifty book out that spotlights old Buffalo postcards. Surely we are the world's most chronicled city! Well, Marti Gorman, who was there too, told me we are not. She said in effect that next to most cities, Buffalo is not written about at all. I find that hard to believe. Maybe I misunderstood. I had had a long day and was extremely shopworn, I have to say that. And after the book signing I had a birthday party to go to. Marti Gorman let me talk a lot about Leonard Pennario, and I mean a lot. I like that about her. The book signing at Barnes and Noble was complicated by the fact that no one ever walked into the store, and no one ever walked out. In short, no one passed the table where we were all sitting. This made for a minimum of sales and signings. And it made all of us think: Life on Transit Road is not like life in the city. Or in malls, where I have done other signings. You do not get people just drifting by. And people drifting by is what you want. They are the ones who wind up buying the book. Once at the Walden Galleria mall I signed about 100 copies of "Buffalo Memories." I am serious. People get within 500 feet of that book and they are helplessly drawn to it. Must read about Sattler's and Crystal Beach! Must have! Don, the photographer sitting next to me, and I had a difference of opinion about Crystal Beach. "I don't see the big deal," he said. I do! So did Leonard Pennario, remember? Before he even got to Buffalo he asked me, "Can we go to Crystal Beach?" Now here was Don asking me what the big deal was. Don and his wife, Diann, have a photo studio on Elmwood, Photo Graphics 2, in an old Spiritualist church. Perhaps some of that Spiritualist abracadabra has gotten into his brain. I am going to go visit his studio and see for myself. Don said I could. Today in contrast to my suburban evening lastnight, I am having an urban day. I have to (1) work, (2) go to the Broadway Market and pick up my turkey at Malczewski's and (3) hit our K Mart at the corner of Delaware and Hertel. I need (1) an egg beater for the whipped cream on Thanksgiving, (2) an iron because ours has sticky stuff all over it, God knows how, (3) new hand towels for the bathroom to replace the hopeless ones I have now and (4) I forget what. Well, maybe I will remember when I get there. Surely I will see it on the shelf and it will jump out at me. I am glad to be back in the city, I will say that! Life is mighty strange out on Transit Road. mary, besides Barnes/Noble, I lovvvve the Olive Garden! Speaking as someone who used to live east of Transit Road in Clarence, good old Route 78 was definitely the place to hang out for excitement -- and not just because of the pinball place at Eastern Hills called "Games Galore." My first and second jobs were at Transit Road restaurants, of which there were dozens and dozens, so it seemed. Besides, once you got east of Transit, it quieted down considerably. So it was very easy to have "a safe holiday." And may you have one too.